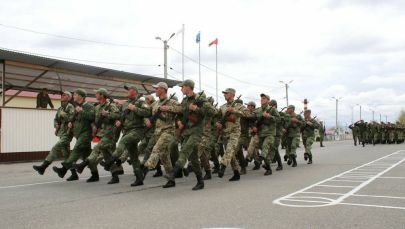 В период новогодних праздников главная ель страны становится символом праздничного настроения и центром притяжения. 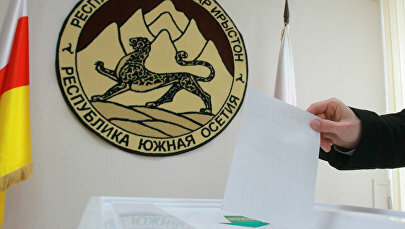 Каждая страна старается оригинально и ярко представить главное дерево зимы. Множество иллюминаций, необычные игрушки, и даже форма дерева создают неповторимую новогоднюю атмосферу. 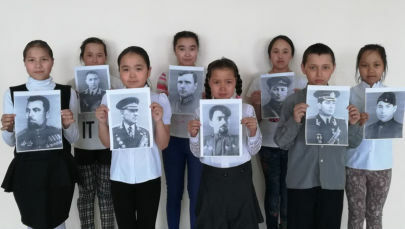 В основном современные ели не вырубают, а ставят искусственные, что позволяет сохранить вечно зеленые деревья в сохранности. 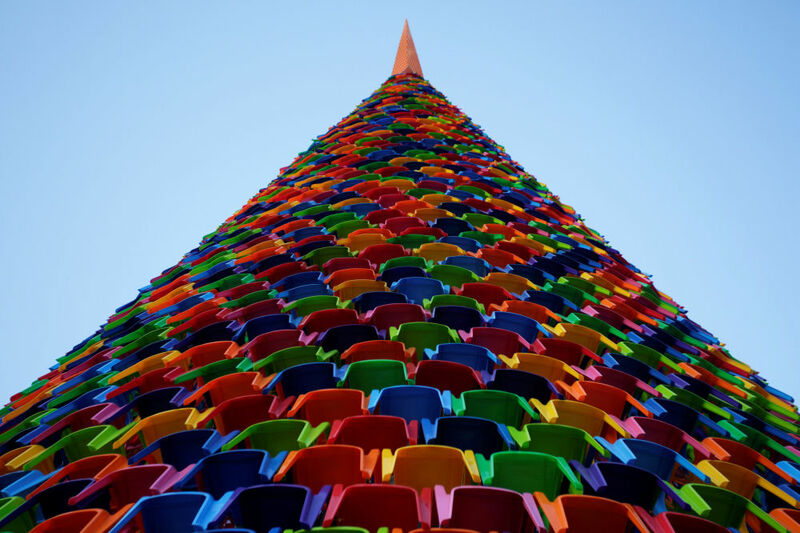 A Christmas tree made of plastic chairs is pictured at the Macroplaza in Monterrey, Mexico November 26, 2018. 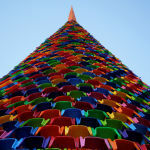 Picture taken November 26, 2018. 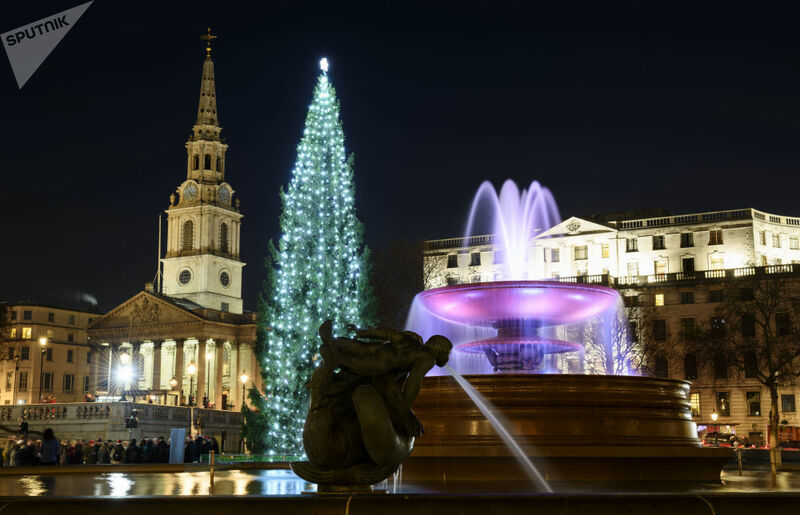 A Christmas tree is lit in front of St. Stephen's Basilica in Budapest, Hungary, December 4, 2018. 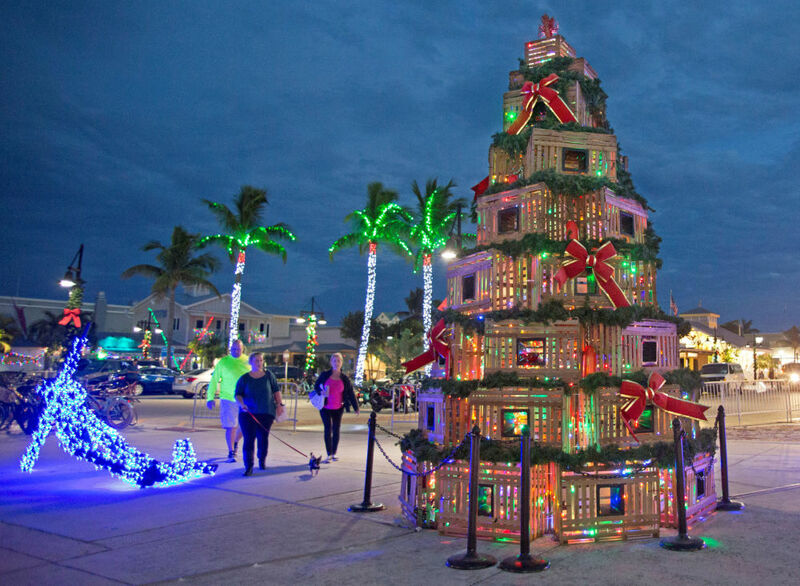 People walk past lobster traps stacked in the shape of a Christmas tree at the Historic Seaport in Key West, Florida, U.S., November 29, 2018. 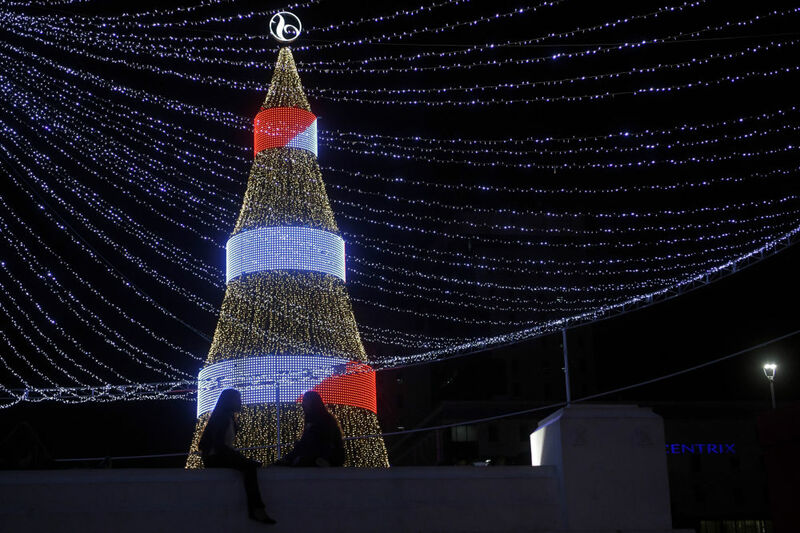 Two young women sit next to a Christmas tree at El Salvador del Mundo square in San Salvador, on December 14, 2018. 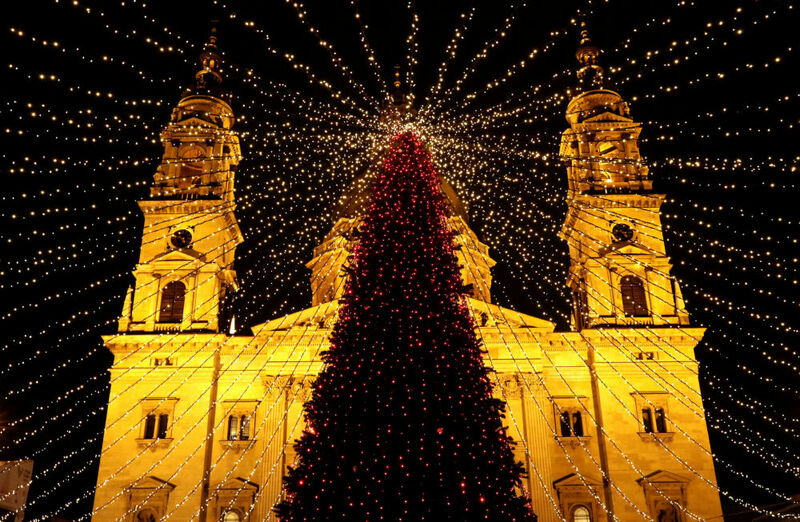 A Christmas tree and a Christmas market are set up in front of St. Stephen's cathedral (Stephansdom) in Vienna, Austria, November 20, 2018. US President Donald Trump and First Lady Melania Trump leave after attending the lighting of the National Christmas Tree in Washington, DC, on November 28, 2018. 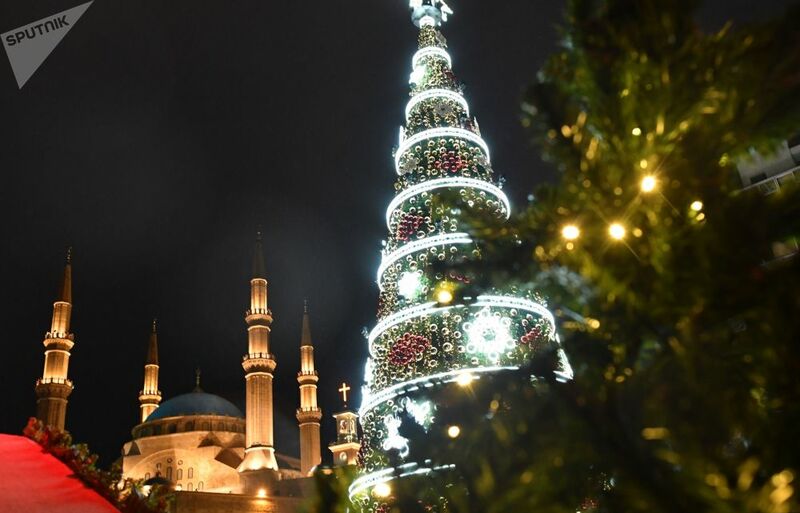 Christmas trees frame the Monte Carlo Casino as part of holiday season decorations in Monaco, December 11, 2018. 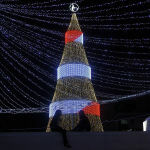 A woman takes a picture inside a Christmas tree at Comercio square in downtown Lisbon, Portugal November 27, 2018. 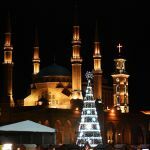 Women dressed in festive decorations stand under a Christmas tree, marking the beginning of the Christmas season in Zgharta, Lebanon December 8, 2018. 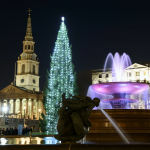 Picture taken December 8, 2018. 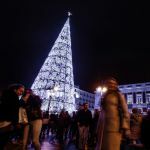 People walk past a Christmas tree at Plaza Mayor in Madrid on December 15, 2018. 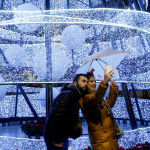 A couple take a selfie during a Christmas tree lighting ceremony in Athens, Greece, December 11, 2018. 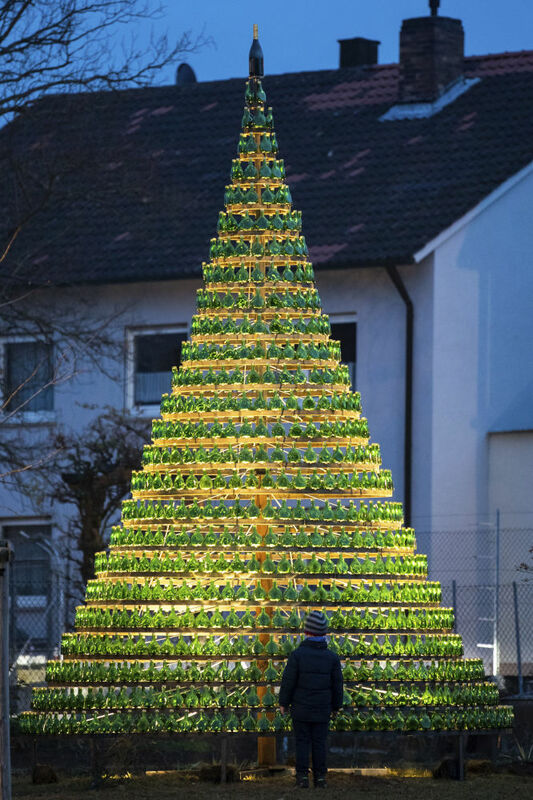 The Nov. 28, 2018 photo shows a Christmas tree made from 1099 'Bocksbeutel' wine bottles in Nordheim am Main, southern Germany. The bottles with the distinctive round body are typical for the Frankonian wine region. 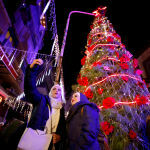 People take a selfie in front of a Christmas tree in the Qasaa district, Damascus, Syria December 14, 2018. 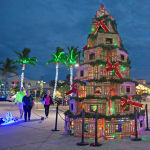 Picture taken December 14, 2018. 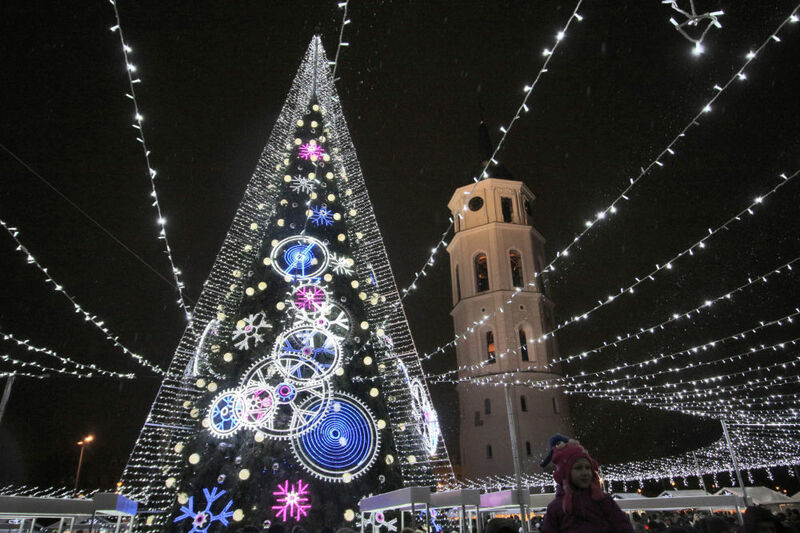 A picture taken on December 1, 2018 shows an illuminated Christmas tree displayed outside the Cathedral during a lighting ceremony in Vilnius. 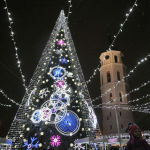 People walk at the Christmas market with the illuminated Christmas tree at the Old Town Square on December 04, 2018 in Prague.